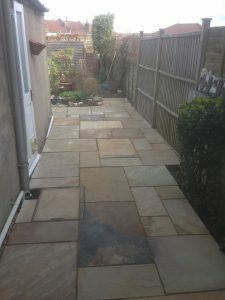 The old patio in Horfield was un-level and very dated so after showing Nicola a variety of different slabs these natural sandstone slabs were chosen. 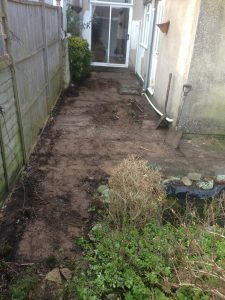 After some re-levelling the new slabs were put down and cut around the pond. 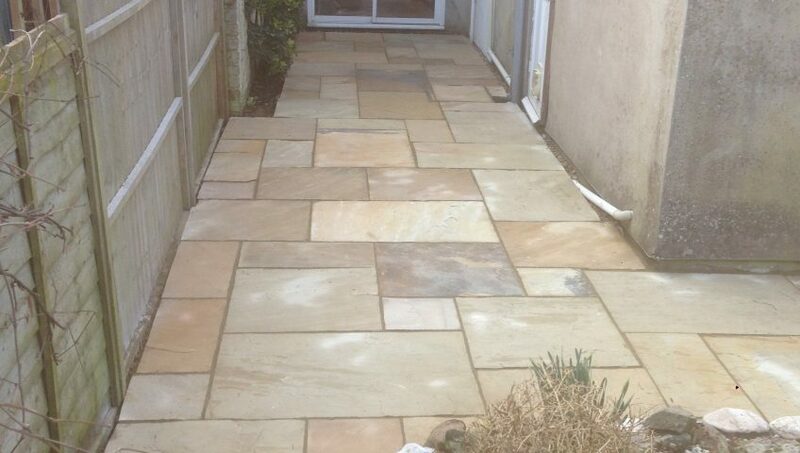 They were sealed with paving sealant to stop any fading or staining and pointed with dry mortar mix.